1. Western Chief Rainwear: If you want to keep your favorite kiddos dry and in style, why not invest in the brand that some of your favorite celebrity kids are wearing these days when the clouds roll in and the days get stormy. Western Chief is known for its adorable boots, raincoats, and umbrellas featuring characters your kid loves such as Batman, Hello Kitty, or Thomas the Train Engine. Celebrity moms from Katie Holmes to Gwen Stefani have been spotted out with their kids wearing these cute designs, so now is definitely the time to get the jump on this celebrity fashion trend for your kiddos! Keep them dry in this awesome rain gear so they can fashionably splash in puddles to their heart’s content. 2. The Mini Classy Harem Pants: Every parent knows that kids love to run around and move freely when it comes to play time, so why not allow them to do it in style with these comfy harem pants from celebrity-approved line The Mini Classy? These loose and soft striped pants will give your kids plenty of wiggle room as they scramble up the climbing wall at the park or race to the dinner table for lunch. Not only are they comfy and fashionable, they’re also (obviously) incredibly cute, and it’s clear that celebrity parents everywhere agree. Superstars like reality TV star Khloe Kardashian and Mario Lopez have grabbed a pair of these pants for their favorite kids, and now you can too! Related Link: Satin Is the Newest Celebrity Style for Spring! 3. Burberry: Although Burberry certainly isn’t cheap, if you’re looking to splurge on something red-carpet worthy for your little one, look no further than Burberry’s kids line. Grab one of Burberry’s signature checked coats to keep your child toasty on nippy fall nights or cold winter mornings, or bundle them in a Burberry sweater with matching scarf for a chic look that will also keep them warm and glowing all winter long. After all, they’ll certainly be in good company, with celebrity parents like Victoria Beckham and David Beckham, Tom Cruise and Katie Holmes, and Khloe Kardashian and Scott Disick also choosing to dress their children in this fashionable line. 4. 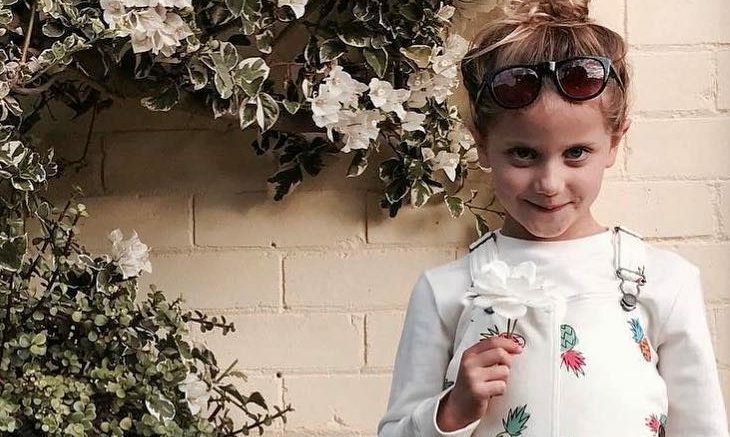 Stella McCartney Kids: If you’re looking for a line that is probably one of the most-used when it comes to famous parents dressing their celebrity kids, look no further than Stella McCartney Kids. Stella McCartney not only features fashions for fabulous adults, she also caters to cute kiddos with a line featuring clothes that are both comfy for kids and incredibly fashionable. Who’s been spotted dressing their kids in this brand name? Everyone from singing superstar Madonna to Jessica Alba, Angelina Jolie, Brad Pitt, and David Beckham. If you’re looking to dress your child in comfy clothes made for the stars, Stella McCartney Kids may just be the way to go. Related Link: Product Review: Get This Spring’s Parenting Must Haves! 5. Luna Leggings: For a fun and funky twist on a traditional black legging, try these fun, celebrity-parent-approved leggings, which mix fashionably bright patterns and colors with durability and comfort for a kids clothing item that’s both on trend and on point. How I Met Your Mother star and celebrity mom Alyson Hannigan has been spotted out with her daughter Satyana sporting these leggings many times, and Sarah Jessica Parker and Matthew Broderick’s adorable twin girls have also been seen in these Luna originals during some of their rare public appearances. What do you think of these celebrity fashion trends for kids? Are they too cute for words, or just not your cup of tea? Let us know in the comments!